My students' fascination with rocks is evident from the first day of school, when they start presenting me with the pebbles they collect out on the playground. These are no ordinary pebbles--they are treasures! Soon, their cubbies are full of these "treasures" and I find little rocks stowed away all over the room. Then I present the kids with my own rock collection. Some of these rocks are just everyday, ordinary rocks that I've picked up in my yard or alongside the road. Some are special rocks I've either purchased or inherited--pieces of crystals, fools gold, pumice, volcanic glass, etc. I am also a sucker for those tourist traps alongside the highway that let you purchase polished rocks by the scoopful. I let the kids explore--touch, feel, use hand lenses, sort, and just play with the rocks. Then I send a letter home to families asking the kids to bring in one or two (which usually ends up being 20) rocks from home. Some kids bring in very fancy crystals or brightly colored minerals. Others bring in dirty chunks of limestone. Either way, they think their rock is the most priceless treasure in the world! After the kids have explored for a while, they fill out rock reports on their rocks and glue them into their science journals. (They also like to do reports on their friends' rocks, as well--so they usually end up with several reports in their journals). We put all of the rocks together on a shelf and create a Rock Museum. The museum stays up throughout the unit. I leave some hand lenses out and the kids will go explore in the museum whenever they have some free time. By this time, I have already read several books on rocks. 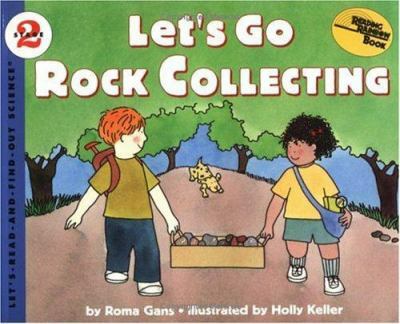 One of my favorites is Let's Go Rock Collecting by Roma Gans. It's simple enough for the kids to understand, but has a lot of good science, as well. Our kindergartners are not required to know the different kinds of rocks--as in igneous, sedimentary or metamorphic. If it's in a book and simple enough for the kids to understand, I'll present the information--but I do not dwell on it. Here is a picture of our Kindergarten Rock museum. The kids colored the paper rocks and wrote rock facts (from books) on them. In this picture, you can see my fancy geode, which I stole from my brother. 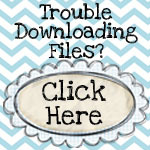 I hope he doesn't read this blog! Another fun activity we do is to see if rocks float or sink. I choose 6 rocks and label them with numbers. I make sure the rocks are different sizes, shapes and colors. Most importantly, I make sure I have a piece of pumice. The kids predict whether or not the rocks will float or sink (and they usually have enough of an understanding of the concept to correctly predict that they will sink). I save the pumice for last. Because the other five rocks have sunk, most kids predict that this one will, as well. They are very surprised when it floats! You can see in this picture that the other 2 rocks have sunk, but the pumice is floating on top. Give the kids a piece of pumice to explore and see what they notice about it. How is it different from the other rocks? Hopefully, they will notice that it has lots of holes. Pumice is formed by volcanoes and the holes are little gas bubbles. You can decide at this point how much of a discussion you want to have about buoyancy and density and why things float (the mass of the water displaced is greater than the mass of the object). It's hard for even me to wrap my mind around! But they can understand that rocks are different! Warning--if pumice gets soaked with water enough, it will sink. Which will spoil the point you are trying to make. Spoken from experience! Make sure your pumice is very dry when you begin. Our kindergartners are required to know how we use rocks and soil in everyday life. So we take a walk around the school and campus to look for things made of rock. The kids are very literal and usually only point out things that are very obviously made from rock (like--say--rocks). We go back to the room and make a list (usually very short at this point). Then I show a PowerPoint that shows the different ways rocks can be used. We add to the list we have started and the kids record the ways we can use rocks in their science journals. After we have explored rocks for a while, we head outside to explore dirt. Do not attempt this activity with a new French manicure. Again--spoken from experience. We take scoops and shovels and buckets outside and head for a nice, dirty spot. And we dig! 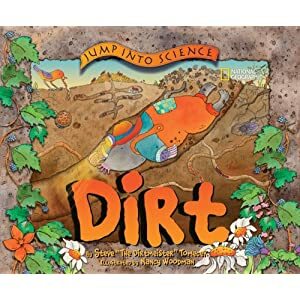 We have these nifty sifters that came in one of our science kits--they are different sizes and will sift the dirt into smaller and smaller pieces. The kids record their findings in their science journals. And then we bring some dirt in for a more formal investigation the next day. We methodically use the sifters and divide the particles into different bowls according to their sizes. 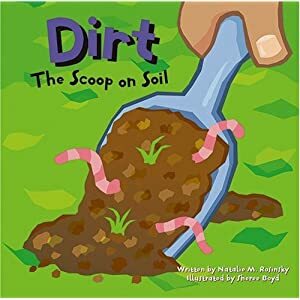 When we're done, the kids can clearly see that soil is made up of tiny, little rocks. The kids record their findings in their science journals. We make a big poster listing the different things in soil--the kids LOVE that there's worm poop and animal poop in soil. Poop...Poop...Poop. Why do they love bathroom humor so much? They record what they've learned in their science journals. Mostly, they've learned that soil contains worm poop. But we also talk about how soil is essential to life. Without soil, we'd have no plants. Without plants, we'd have no fruits or vegetables. Animals would have no food to eat. So people would have no food to eat. Which brings us to their second favorite subject (after bathroom humor)...death. Ahhh....kindergarten. The next day, we explore sand. I give the kids a tray full of sand and a hand lens and let them explore. They record what they see in their science journals (tiny little rocks). I got the awesome poem off of Chalk Talk. We actually glue sand in our journal by spreading a little white glue on, dumping on some sand, shaking off the excess and letting it dry overnight. 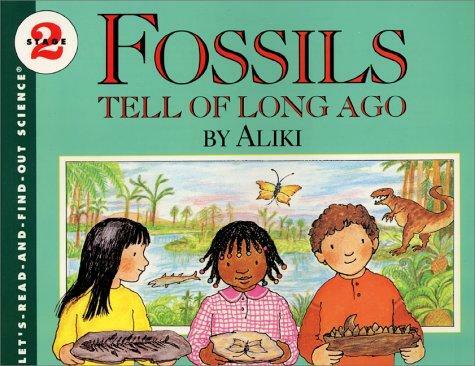 Fossils Tell of Long Ago by Aliki. I give each kid a small ball of clay and they gently press the object of their choice down to make an instant fossil! I make them wait a full day before they take them home--otherwise, their fossil gets smashed. They don't like to wait, but I remind them that real fossils takes thousands and thousands of years to form. They can wait a day! Long after we have moved on from rocks and soil, my kids are still bringing in rocks that they find! I hope you have as much fun teaching this unit as I do!